"Dead easy! I only use one method for these and this is it." *this is usually between 3 and 4 medium eggs but it really is best to weigh them out of the shell. If you need a fraction of an egg I buy the carton egg white and add a drop of this. It keeps for ages in the fridge and does the job perfectly. Set the oven 160C, place muffin cases in a twelve-hole baking tray. This amount makes between 12 and 18 cup cakes. 2. Weigh all the ingredients and put them into one bowl and beat them for two minutes with a hand-mixer or in a stand mixer. 3. To make sure every cup-cake is perfect place the baking tray on your scales and set them to zero. Into each bun case spoon exactly 40 grams of mixture, zeroing your scales between each one. 4.Bake in the oven for 18 minutes before checking. Cup cakes love to be listened to – they have so much to say! 5. Place on a cooling rack and while they’re doing that you can make the buttercream. 2.Decorate according to taste – spread it with a knife or pipe it on before adding any other decorations. ​The recipe for cupcakes can be adapted to make lots of different cakes. This lemon cake is made but instead of adding vanilla add one teaspoon lemon extract and the zest of half a lemon. 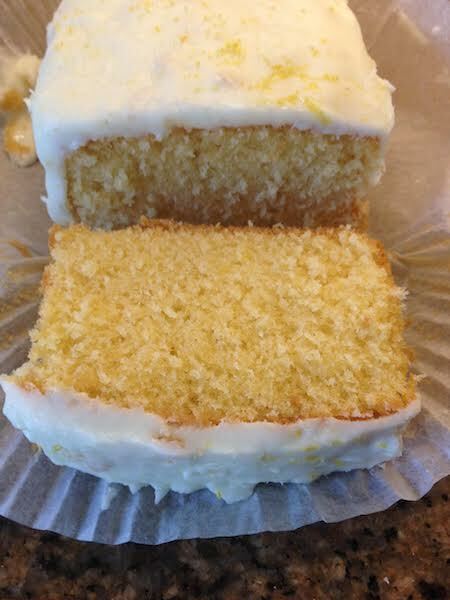 The icing is made with 200g icing sugar and enough juice from a lemon and the zest of the other half of the lemon to make a spreading consistency. An orange cake can be made in the same way but add orange extract and use the juice and zest to make an icing.